When Lost's Oceanic Airlines Flight 815 crashed, the survivors found themselves on a seemingly deserted island. In Defoe's novel, Robinson Crusoe spends twenty-eight years on a remote tropical island near Trinidad, while in the movie Castaway Tom Hanks survives over four years on a South Pacific island. And Jurassic Park kept its dinosaur population confined to an island off the coast of Central America. Islands often find themselves at the center of imagined worlds, secluded and sometimes mystical locales filled with strange creatures and savage populations. 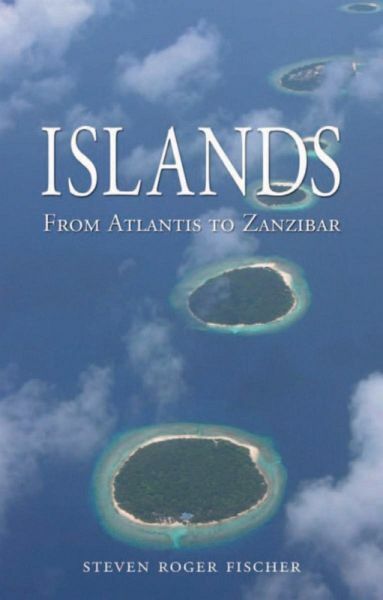 The cannibals, raptors, and smoke monsters that exist on the islands of popular culture aside, the more than one million islands and islets on the planet are indeed small , geological, biological, and cultural laboratories.From Britain to Japan, from the Galapagos to Manhattan, this book roams the planet to provide the first global introduction to these waterlocked landforms. Longtime island dweller Steven Roger Fischer shows that, since time began, islands have been one of the primary birthplaces for plants, animals, and proto-humans. These eyots of stone and sand—whether in ocean, lake, or river—fostered the human race, and Fischer recounts how humanity then exploited these remarkable habitats as stepping stones to global dominion. He explores island economics, warfare, and politics, and he examines the role they have played in literature, art and psychology. At the same time, he sparks our imagination with visions of islands—from Atlantis to Tahiti, Treasure Island to Hawaii. Ultimately, he reveals, these isolated mini-worlds are a measure of humankind itself.An engaging account of the islets that have enriched, lured, terrified, and inspired us, Islands shines new light on these cradles of earth—and human—history. Steven Roger Fischer is former director of the Institute of Polynesian Languages and Literatures in Auckland, New Zealand. His books include A History of Language, A History of Writing, and A History of Reading, and Island at the End of the World: The Turbulent History of Easter Island,also published by Reaktion Books. He lives on Waiheke Island, New Zealand.